In an interview last weekend with Etemad newspaper, Mir Hossein Mousavi's Alireza Beheshti reviewed the events on Election Day and up to mid-July. The interview is a treasure trove of information, indicating both the strategy of the Mousavi campaign and that of the regime. It offers new revelations on the course of the protests and on the co-ordination between Mousavi and Hashemi Rafsanjani before Friday prayers on 14 July. Behesti concludes by answering, "If they want to arrest you, are you ready?" "Yes, not only me but also all the members of my family." Q. You are one of the closest associates of Mr. Mousavi. What happened at central headquarters on the Election Day? What was Mr. Mousavi doing on that day? A. The headquarters was active in several areas, but on that day the most important activity was around the committee to safeguard the votes; this committee had prepared a system to have direct online communication with our observers at voting stations. Of course, only a limited number of our observers were given permission to be present at the voting stations. When the authorities say, “More than 40,000 Mousavi representatives were present at the voting stations,” the reality is slightly different. We had around 40,000 volunteers and requested permissions for them, but only 25,000 of the volunteers were given permissions and badges. The rest were not issued badges and were not allowed to be present at the polling booths. Even many of the volunteers with badges were asked to leave the voting stations. They tried to prevent our observers from doing their work. We had predicted the communication authority to disrupt the wireless service, especially SMS service on that day, so we had contacted them in advance about this and they had given us assurance of service on the election day. We also added more landlines in the headquarters. On the night before the Election Day, they shut down all wireless services, including SMS messaging. When on the evening before the Election Day, we tried to use the landlines we had set up for the committee we realized all 300 landlines were out of service. Mr. Mousavi was also present and involved with the efforts of the committee for safeguard of votes. Q. When you saw the disruption of telephone services did you contact and seek advice from legal authorities? A. The headquarters staff and Mr. Mousavi himself had many contacts with authorities about these issues before, during, and after the Election Day. Q. Who was contacted, in which office? A. The Interior Ministry was contacted, we sent representatives to the ministry. We consulted the Guardian Council, the Ministry of Justice, even contacted Ayatollah Khamenei’s representative seeking advice. We did everything we could but didn’t see a genuine will to resolve the issues. At the same time from whatever information our observers were able to send back, we were receiving news of massive support among voters, positive and encouraging remarks of supporters of Mr. Mousavi returning from voting stations. It was around 2 p.m. when we noticed there are more serious issues in the voting process. Until then the most worrisome issue was the news of shortages of voter registration forms in cities, even large cities like Tabriz and Shiraz. There was also the issue of extending voting hours. In most previous elections, the authorities always extended voting hours to maximize participation but in this election things seemed different. In some districts they closed the voting booths as early as 7:30 pm and stopped the voting activity. This was very strange. Q. What happened at 2 pm? It appeared that the authorities were no longer interested in counting actual votes, at that point the focus had shifted to “computer vote count”, something which was supposed to be only used as an experiment. Q. It has been said that Mr. Ali Larijani [Speaker of Parliament] called Mr. Mousavi on the Election Day and congratulated him for his victory, do you confirm that? A. I don’t remember this particular call but I know on that day many officials and institutions called and congratulated Mr. Mousavi. The vote margin was so wide that no one could imagine the competition between Mousavi and Ahmadinejad could go into second round. Q. Was there any congratulation call from government officials? A. It's not on my mind at the moment. Q. What happened that made Mr. Mousavi announce his victory at 11 p.m. on Election Day? This caused a lot of criticism from opposing candidates. A. The official and pro-government media had announced an Ahmadinejad victory from early evening hours. We even had information that pro-Ahmadinejad newspapers had prepared their victory pages on Thursday [the day before the election]. In some cases they modified the pages so that they appeared neutral. It was obvious the election was taking an illegal turn. We had certain statistics, also had information through contacts that confirmed Mr. Mousavi is the winner. That’s why Mr. Mousavi decided to announce his victory. Q. On Election Day we saw attacks and forced closure of Mr. Mousavi’s election headquarters by authorities. When you contacted the authorities, what was their reason for doing this? A. One of the things that was very suspicious on election day was the raids against Mousavi’s election headquarters and their illegal closures. For example, the Gheytarieh headquarters and soon after that the central headquarters were closed by force without any official warrants. The authorities we contacted presented no answer or reason for doing this. Our inquiries about this were always one-way; we wrote letters and filed reports, but never heard any response or saw any action from authorities. Q. Annoucement of the vote counts started at midnight and continued till 9 a.m. the next day [Saturday]. Between 9 a.m. and 12 noon there was no news. During this time what was the situation like at Mousavi’s headquarters and how was Mr. Mousavi? A. We stayed awake until 5 a.m. then rested a little. We listened to the official news being broadcast. The reaction of the opposite side had become clear to us starting from 2 p.m. the previous day. That’s why we were no longer shocked from the news they were broadcasting but we were shocked to hear some of comments and reactions coming from the Guardian Council. Q. On Saturday after the final results were announced, what was Mr. Mousavi’s plan of action, considering the vote statistics he had? A. We couldn’t do anything because our contacts who were witness to voting irregularities were arrested on the same day. The headquarters staff were arrested within two days of the election and thrown in jail with false charges. On Saturday we were busy trying to find out who was arrested, why our headquarters were shut down, and looking into many other questions. Q. But on the same day many people came out to protest on the streets, and some paid a heavy price. Where were Mr. Mousavi and his original team on that day and what were they doing? A. On that day we had meetings, since it has always been Mr. Mousavi’s principle to avoid the violent confrontations and minimize the costs to people. We met to formulate a specific plan of action to reach our goals. On the other hand we did not, and still don’t, have the intention of overthrowing the rulers. We participated within the framework of the established system; our intention was that our protests remain within this framework. Q. Naturally we saw shocking scenes of social unrest between the Election Day and June 15. For June 15 both Mr. Mousavi and Mr. Karoubi had requested legal permits to hold demonstrations, both were denied. Regardless, people held massive demonstrations on that day. Did you imagine such massive turnout? A. No, surely we could not imagine the size of crowd that came to the demonstrations. As you said, both Mr. Mousavi and Mr. Karoubi had requested demonstration permits, and we did not get an answer, even until noon of that day we didn’t know if the requests would be granted or denied. At noon we received news that the permits would not be issued. Since we didn’t have access to national media we couldn’t inform people about this news and ask them not to come out. We also requested time on national television, but that request was not granted either. That’s why both Mr. Mousavi and Mr. Karoubi decided to participate in the demonstrations to help avoid probable violent clashes with security forces. We had three ways to organize the protests. We avoided those that would result in violent clashes outside the established frameworks, and we chose the path of non-violent civil protest. People accepted that path in the June 15 demonstrations. This was exactly our intention. Another measure was that the main members of headquarters came to the street, and if people had gathered somewhere, talked to them and persuaded them to leave, but when we faced the huge wave of population, we ourselves joined. As the demonstration had no permit, we had not arranged any disciplinary committee, but we saw that people who attended the demonstration on June 15th could be present without any challenge and entanglement. Even the few people who chanted slogans outside the framework were controlled by the people themselves. Before the election supporters of Mousavi and Ahmadinejad had faced each other in the main streets of the city [without any violence]. At that time I said to one of the friends in Kalameh Sabz newspaper, if this had happened early in the election, it would have definitely resulted in bloody conflict. This incident showed people attained a high level of political consciousness and understanding, and the brutalities which happened after the election were not the people`s fault. Q. With regard to the great presence of people in the demonstration on June 15th, it apprared that the method of and approach to the election would be changed by the ruling powers, but such a change didn`t happen. Did you do anything to pursue those changes? A. We pursued many courses of action. We arranged several meetings with many different legal authorities to make a general revision to the election because the demand of people was neither the change of regime nor the change of general structure of power, but their only demand was the change of the executive institution of the regime and government. ....[The ruling powers were] supposed to meet the request of people by using the legal tools but they did not. We were not hopeful about the Guardian Council that many of its members took up official positions in favour of Ahmadinejad before the election. Q. There were reports that Mr Mousavi said if the election would be voided, he would`t nominate himself for the next round. Were these true? A. This issue was that some persons in authority had personal problems with Mr. Mousavi. So Mr. Mousavi said: if you hold the election again and if your problem is me, I won’t nominate myself for the next round. Q. Three days after the election, the representatives of candidates met the Supreme Leader. What happened in that session? A. What was broadcast were the Supreme Leader`s words; the representatives` words were not published. In that session, the representatives of the three opposing candidates had serious objections to the election and asked for it to be voided, showing samples of violations and fraud in the election. What the leader said on that meeting was very encouraging and the following security approach treatment to the next demonstration was a good sign that the regime's moves would be peaceful. Q. What happened on that Friday [19 June] that those event occurred and on Saturday [20 June], when the treatment became severe, violence increased, and the cost to people was much more extensive? Q. ....People didn`t object to the system, they just object to the election that was inside the system, they didn`t demand the overthrow of the system. Neither people nor the candidates who took part in election of presidency of Islamic Republic of Iran didn`t ask for overthrow....However, the inference of the regime was that people wanted to overthrow the system and deconstruct it. This was the reason why such things happened on that Saturday and the security treatment was much more severe than before. A. At this time there was no mention of [fromer President] Mr Hashemi [Rafsanjani], did Mr Mousavi had a visit with Mr Hashemi? Q. No, because the problem was that of the candidates, not Hashemi's problem or even [former President Mohammad] Khatami`s. Because the issue was in relation to the election and there was no reason that those two should be involved. Q. But after a time we saw that these persons were involved in protest? A. Yes, when the security crackdown intensified and the issue of the future of the system was raised, Mr Hashemi as one of the supporters of the system and Mr Khatami entered the field. The kind of disagreeable [regime] behaviour toward people, the behaviour we did not want to see, happened unfortunately. We also knew if the atmosphere became more militarized, there wouldn`t be a place for civil methods. Q. Each year through the advertising, the 7th of Tir [a square in Tehran] ceremony was held officially, but this year we saw in the Qoba mosque ceremony [28 June] the crowd of participants got to Shariati Street too. What is the reason? A. Well, we ourselves held a ceremony each year, but in this ceremony Mr Mousavi was present and certainly the crowds of participants were very much larger. We did not expect such a crowd at all, and for this reason, the ceremony that was going to be held was conducted inside the mosque. By doing this, ulation, we couldn`t held the full ceremony, however. Mr [Presidential candidate Mehdi] Karoubi attended this ceremony, and Mr Mousavi was going to attend but he couldn`t pass through the streets for two reasons, one because of the congestion due to population and another because of security agents. In this event the only thing I could do was to get a speaker from the police to inform people that Mousavi could not attend. Q. Did the security center contact you before the ceremony? A. Yes, the security center were closer to us after suspending the Kalameh Sabz newspaper so they contacted us on alternate days .Before the ceremony in Qoba mosque, they contacted too and reminded us of taking care of the population and their objections. There was no violence in the Qoba mosque ceremony until the end .Unfortunately, when people moved toward Shariati Street, the treatment became violent. Q. Why was Kalameh Sabz newspaper suspended? A. The newspaper office contacted me and said that the security forces had came inside the editorial office. I went there....They searched everywhere, and when I asked why they did so, they answered that during the 7th of Tir [Square] demonstration [20 June? ], some protesters had taken refuge here and some other people had been taking photographs up on the roof. Later I found out their claim was not true, but even if it was real, the press or news institution can take photographs of important events. If a reporter does not take photographs of such eventsm they should be asked why did not and where that reporter had been. What wrong is with taking photograph of a demonstration? The head of one of the security teams came and asked us to sign some sheets of paper. On those sheets of paper, they had written that they had found some "dirty" compact disks and arrested a number of girls and boys. I didn`t sign them and asked when these events occurred here. Anyway, on that day the newspaper office was closed and the journalists came to get their salary. Q. 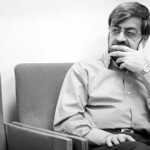 What happened when Mousavi attended Friday prayers [14 July]? Was he in coordination with Mr Hashemi [Rafsanjani]? A. Yes, it had happened in coordination with Mr Hashemi. Mr Hashemi asked Mr Karoubi and Mr Mousavi to be present in Friday prayers. At the same time the security agents wanted to avoid his [Mousavi's] attendance, and he didn`t want the atmosphere to become tense. But he came and the popular reaction was very positive. Q. Is it possible to arrest Mr Mousavi or his relatives? A. No, I don`t think they can do such a thing. That would make the atmosphere tense and stressful again. Q. If they want to arrest you, are you ready? A. Yes, not only me also all the members of my family are ready.